My latest book Life Between Heaven and Earth is now available in paperback. Many of you have asked for this and now it’s here! The first in my new eBook series What the Souls Have Taught me is available on Amazon now! Click here to get your copy. assist you in the here and now. end we continue to a greater world. Whether that destination is called “Heaven,” “Nirvana,” or simply, “The Other Side,” tradition teaches us that there is, in most cases, a fairy-tale ending to life, a place where joy and harmony reigns supreme. Yet, as this book attests there is still more to heaven and earth than is dreamt of in our philosophies. George Anderson is considered by many to be the greatest medium living today. After more than 50 years of hearing from souls who have transitioned to the world hereafter, he is constantly reminded by those who have passed that our preconceived notions of this life— and the next—aren’t always accurate. 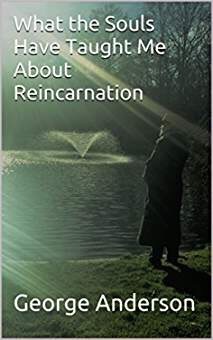 The nine stories in this book illuminate times when unusual circumstances such as sudden death, unresolved emotions, abusive relationships, and painful family dynamics, make it necessary for the dead and the living to find new doors to healing. that are profound, bittersweet, highly-emotional and sometimes, downright, funny. What we learn is that there are little-known spiritual treasures—and lessons to be learned—about heaven and earth that can restore, revitalize, and make new what was once broken. acceptance can be found in deep and remarkable ways. Copyright ©1997-2019 by George Anderson Programs and George Muir, Inc. No part of this website or the writings contained therein can be copied or reproduced without the author’s permission.